Wilkin Marketing announces Gaming Laboratories Inc, GLI, approval of Self-Comping Player Portal kiosks for use in VGT Operator locations. United States, September 21, 2016, Wilkin Marketing announces GLI Lab Inc, has tested and approved the use of Wilkin’s WMAD promotional kiosks in VGT Operator Locations. The approval includes the Wilkin Marketing Interactive Promotion Kiosk for use with its proprietary software,Webtrax, which allows for VGT Operators to reward players at their locations while improving the player experience and boosting profitability for the location. The Webtrax system allows for the kiosk to perform as a digital advertising display while not engaged by a player, giving the benefit of location specific advertising messages 24/7. Wilkin Marketing is multi-media marketing and design agency offering a full range of services. Specializing in digital, direct and database marketing products with services for everyone, including the Gaming, Automotive, Retail, Travel, & Hospitality industries. Wilkin Marketing has developed thousands of promotions; sent millions of targeted communication via direct mail, email, and SMS text; and installed interactive kiosks throughout the globe. Wilkin Marketing is one of the most innovative and technologically advanced marketing companies. We constantly strive to stay fresh and relevant in the fast-paced ever evolving marketing industry. Offering a complete array of marketing products and services including reviving your database marketing activities, segmentation, re-investment optimization, PURL’s, website creation, targeted email marketing, SMS/text marketing, and social media marketing. In addition to some of the most knowledgeable and helpful customer service account managers, we offer a team of graphic artists, variable data programmers, and IT specialists; all of whom expertly guide our clients in the planning and production of their marketing campaigns from start to finish. We are passionate about each project. We are dedicated to exploring new ideas and understanding our clients and their customers to create the best work possible, making each project successful. From creative to production, we encourage innovation and thrive on forward-thinking approaches that keep our company a leader in the industry. The Marketing Group plc was incorporated in May 2015 with the purpose of gathering successful marketing businesses under one roof. The Company comprises a series of independent marketing teams, each with specific expertise and innovative services. The consolidated group supports the subsidiaries with management and coordinating activities as well as a common operating platform. For more information, please visit the Company’s website www.marketinggroupplc.com. The Company’s share is listed on Nasdaq First North Stockholm from 8 June 2016 and Mangold Fondkommission AB, +46 8-5030 15 50, is the Company’s Certified Adviser and liquidity provider. United States , August 1, 2016 – Wilkin Marketing, a full-service marketing firm, announced that it has begun trading on Nasdaq First North Stockholm. Wilkin Marketing will join The Marketing Group, a true 360 digital company, as part of the unique Agglomeration approach. The Agglomeration model was designed in response to the changing market climate with a single-minded purpose – to build a global marketing company that offers smart, profitable businesses access to new markets, new sectors and a network of senior marketing talent whilst retaining full control of their individual companies. Following this partnership, Wilkin Marketing will enjoy the synergies of the combined entity. Wilkin Marketing will join the existing groups – Black Marketing, One9Ninety, Nice&Polite, Creative Insurgence, Lead Generation Company and Rainmakers. Wilkin Marketing will conduct business as usual and there will be no change in the group structure as a result of this partnership. The Marketing Group plc was incorporated in May 2015 with the purpose of gathering successful marketing businesses under one roof. During the first half of 2016, The Marketing Group acquired 9 companies with specialist skills and geographical reach. The Company comprises a series of independent marketing teams, each with specific expertise and innovative services. The consolidated group supports the subsidiaries with management and coordinating activities as well as a common operating platform. For more information, please visit the Company’s website www.marketinggroupplc.com. The Company’s share is listed on Nasdaq First North Stockholm from 8 June 2016 and Mangold Fondkommission AB, +46 8-5030 15 50, is the Company’s Certified Adviser and liquidity provider. Burlington, KY, April 27, 2016 – Wilkin Marketing has announced the appointment of Brent Kelly as their new National Business Development Director. Brent’s more than 20-year career has provided him with a deep knowledge and expansive skill set in Business-to-Consumer and Business-to-Business sales and marketing, working with top level executives in casino marketing and media promotions. His work ensures that all aspects of his client’s needs are met, while bringing leadership, innovation, and organization to each project and every challenge he meets. 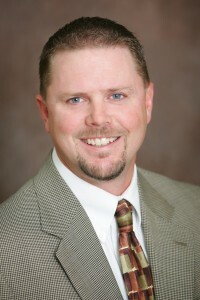 Brent has degrees in Business Finance and Economics from the University of Montana. His most recent position was with Odds On Promotions as their Western US Business Development Manager for the last eight years, involved with the development and execution of hundreds of marketing campaigns and promotions for his clients. Brent resides in San Diego, Calif., with his wife, Lynn, and four-year-old daughter, Shey.